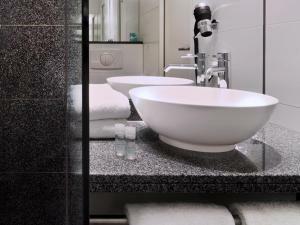 This modern hotel in Hamburg offers spacious rooms with a flat-screen TV, a stylish lobby and free Wi-Fi. The Michaeliskirche church is just a 3-minute walk away. The Motel One Hamburg am Michel opened in August 2010. 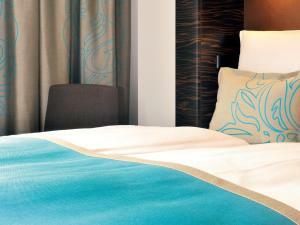 All of its bright, air-conditioned rooms feature Wi-Fi access and an elegant bathroom with granite décor. Warm snacks and a wide range of drinks are served in the hotel's One Lounge. A breakfast buffet is served here every morning. Underground parking spaces are available at the Motel One am Michel. 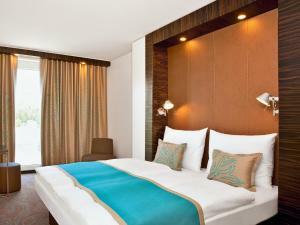 Attractions near the Motel One Hamburg am Michel include the Reeperbahn nightlife mile. This is only about 600 metres away.